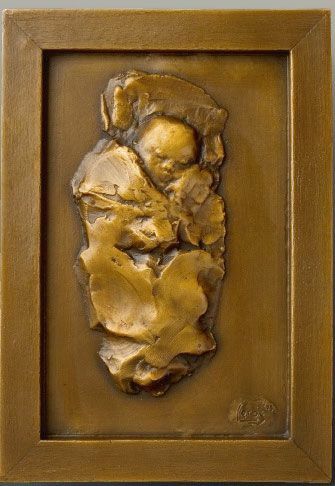 “Papoose” or The Baby Jesus, was the first in a series of Christmas plaques I created beginning in 2003 and creating one each year, releasing the new edition in November of each year. 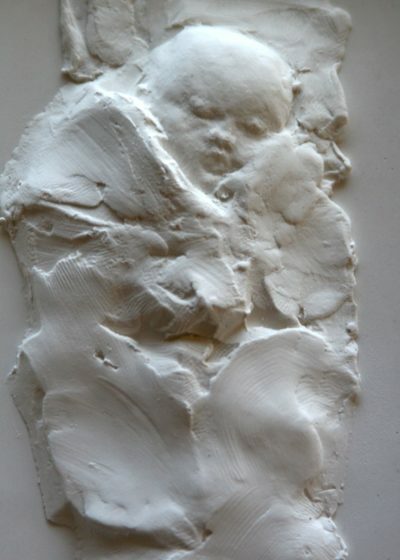 The sculpture of the baby has the most emotional attachment for me owing to how it came about. 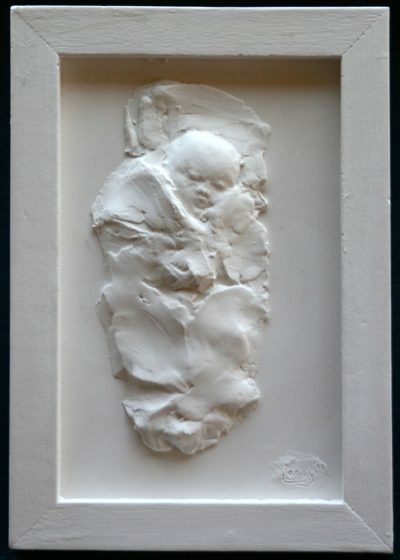 All signs pointed to a meager Christmas for my family so I decided to create a Christmas relief sculpture to sell. At the time I made it I remember my feelings were tender and I would often look out the window and cry while I was making it. When it was finished I thought it was a jewel and could not help staring at it, like I had unearthed some great treasure. I was nervous about showing it to sell as I had put so much sincerity and thought into it and did not know what people would think of it. Much to the delight of my family and myself, it was well received by people and we were able to put together a truly memorable Christmas.